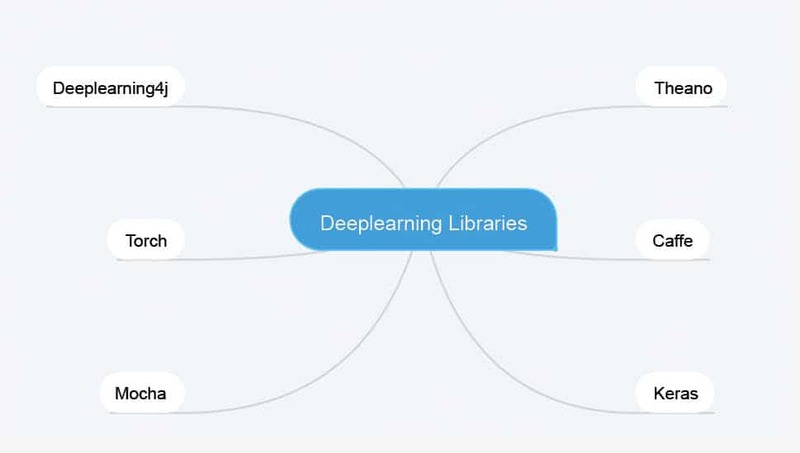 There are many deep learning libraries that are becoming popular among the developer community such as Theano, Torch, Caffe, etc. Deeplearning4J is an open source and distributed deep learning library targeted at Java Virtual Machine (JVM). This article provides an introduction to its capabilities and features. Deep learning is a recent improvement in the machine learning domain. A basic requirement of machine learning is to identify and build a feature set. This task is generally carried out by experts in that domain, manually. So, for each problem domain, customised features need to be built by expert humans. This often creates a bottleneck in the overall process flow. Deep learning differs from traditional machine learning in the way features are built. It attempts to build the features automatically from the given large data set. Note the emphasis on the word ‘large’. For deep learning to work at a decent accuracy level, we need considerably large sized data sets. This is significant, because the machine requires a fairly large amount of data in order to detect the discriminative features of a set. Feature engineering is an important component for the successful implementation of any machine learning related project. A detailed comparison of deep learning frameworks is available at https://deeplearning4j.org/compare-dl4j-torch7-pylearn. This article explores the Deeplearning4J (DL4J) library. DL4J has been developed in Java and is targeted at Java Virtual Machine (JVM). An interesting feature of Deeplearning4J is the ability to build fast prototypes. The attributes of DL4J are listed below. Distributed: The training process can be accelerated because DL4J is distributed by nature. It can harness multiple GPUs, and the performance is on par with other major libraries such as Caffe. Open Source: DL4J is a production quality open source library available for performing deep learning tasks. The active community of developers keeps DL4J fresh. Interoperability: DL4J is written in Java, and hence all the JVM based languages such as Scala, Clojure and Kotlin are compatible. Interoperability with other major frameworks such as Caffe and Torch can be achieved through Keras. DL4J incorporates both a distributed, multi-threaded deep learning framework and a single-threaded deep learning framework. 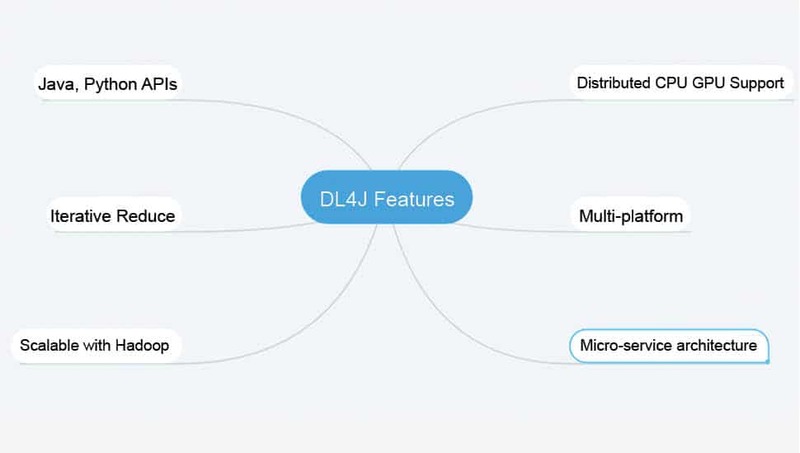 Another important feature of DL4J is that it is the first deep learning framework adopted for a microservice architecture. Java 1.7 or above (DL4J supports only the 64-bit versions). The official document recommends the use of InelliJ IDE or Eclipse. The community edition of InelliJ IDE can be downloaded from the official website. 1. Run IntelliJ. Choose the Import Project option. Select the folder ‘dl4j-example’. 2. Select ‘Import Project from external model’ and make sure that Maven is chosen. 3. Follow the wizard’s instructions. Click Finish to complete. It might take some time to get all the dependencies in the local system. 4. Select a particular example and right-click the file to run it. Many large government organisations and companies have Java as their major platform. There are millions of Java developers and Java is the largest programming language, as of now. Java is the basis of many powerful techniques/tools such as Hadoop, ElasticSearch, Lucene and Hive. One prime complaint against Python is its slow speed. Java is definitely quicker than Python. Hence, when handling projects with massive data sets, Java may be a better choice. Java is inherently secure and cross-platform. It can be easily used on all major platforms such as Linux, Windows, OSX and Android. A clean and easy-to-follow tutorial is available at https://deeplearning4j.org/android. This article has provided an introduction to the Deeplearning4J library. If you are interested in exploring more about deep learning, there are many interesting online courses and resources. A compiled list of links is available at https://deeplearning4j.org/deeplearningforbeginners.html. Next articleHow DevOps process can be enhanced by machine learning?